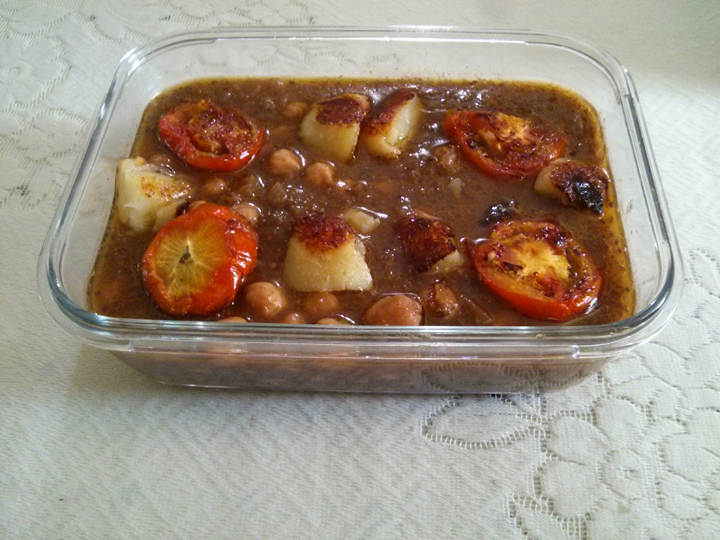 A famous Punjabi / North Indian preparation of chick peas can be enjoyed with any Indian bread of your choice. Wash chanas well and Soak for at least seven-eight hours in 500 ml of water . Retaining the same water,add salt to the chana and cook in a pressure cooker till done ( 20-25 minutes after the pressure is formed in the pressure cooker). Put the quartered onions in the pressure cooker add 1/4 cup of water. Pressure cook till the pressure is formed, switch off the heat. Cool and grind into a paste. Heat the oil in a deep pan, put ajwain, when it splutters, add onion paste . Sauté for 3-4 minutes and add coriander powder, cumin powder and red chilli powder,tamarind paste (or dry mango powder) Sauté again. Add boiled chanas, cook on low flame for 10-15 minutes . Add garam masala powder, mix well, cook for few minutes more. Garnish with coriander leaves, green chillies, tomato slices , fried potato pieces and finely cut ginger strips and serve hot with puri, bhatures etc. Note: Bundi raita compliments chole.